Set on a greenish hill in the area of Akrotiri, only a few kilometers from Zakynthos town, Bozonos Luxury Villa combines the superb natural beauty of the island with the ultimate level of luxury, with view to the Ionian Sea. Comfort, pleasure, sensation, privacy. 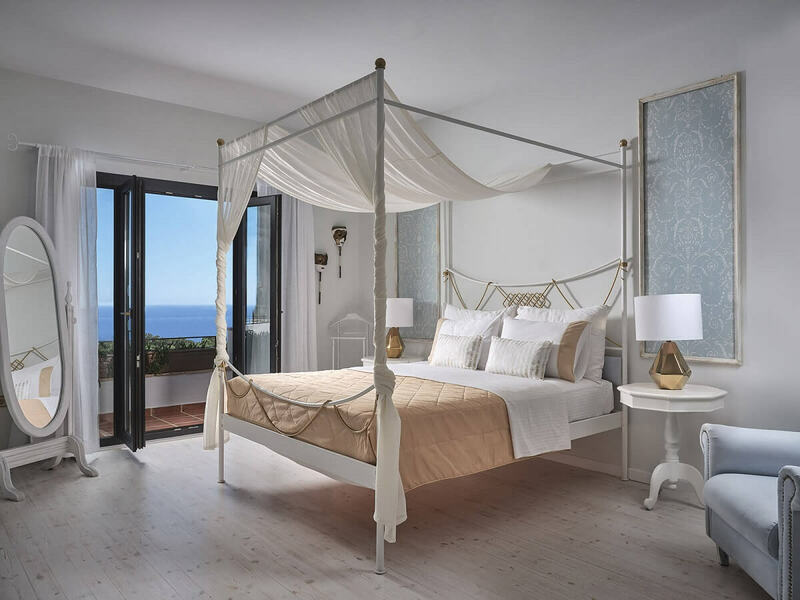 Accommodation at Bozonos Luxury Villa is designed for guests who know how to appreciate and enjoy a truly luxurious sanctuary which has been prepared with care and attention to the utmost detail. Abundance of space in a residence of 500 sqm., robust construction, meticulously studied room arrangement, high quality equipment, classy selected furniture, fine fabrics, rich colours, bounteous accessories and technological amenities. Everything in Bozonos Villa is especially provided to induce the absolute ambience of luxury and extraordinary accommodation. All, within the confines of a stone-made fence with a remotely controlled gate, to ensure total privacy. As family quarters with plenty of comforts and amenities for all family members. As a romantic hideaway for couples that seek time for themselves or a lovely honeymoon choice. As the perfect place of leisure, rest and fun that you and your friends so much need. 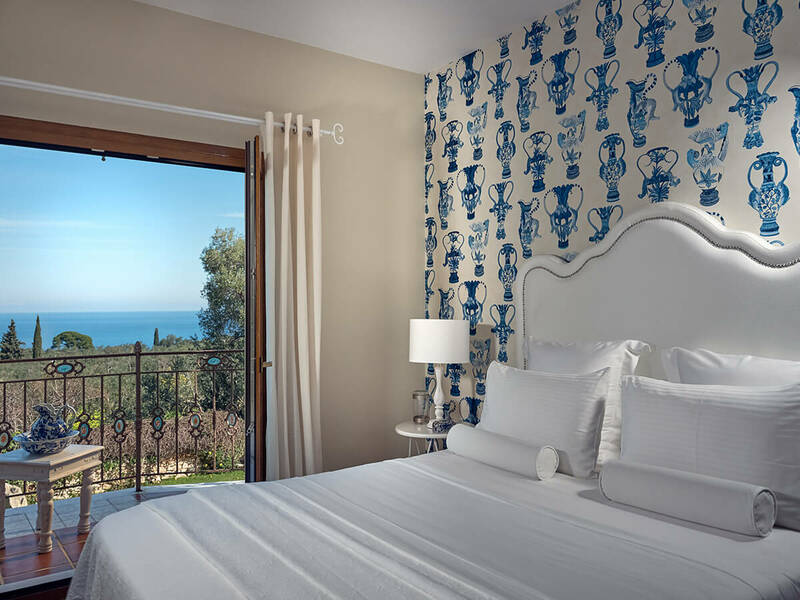 Zakynthos is undoubtedly an island offering top level accommodation, featuring numerous lovely hotels and modern villas and residencies, as well as high quality services. 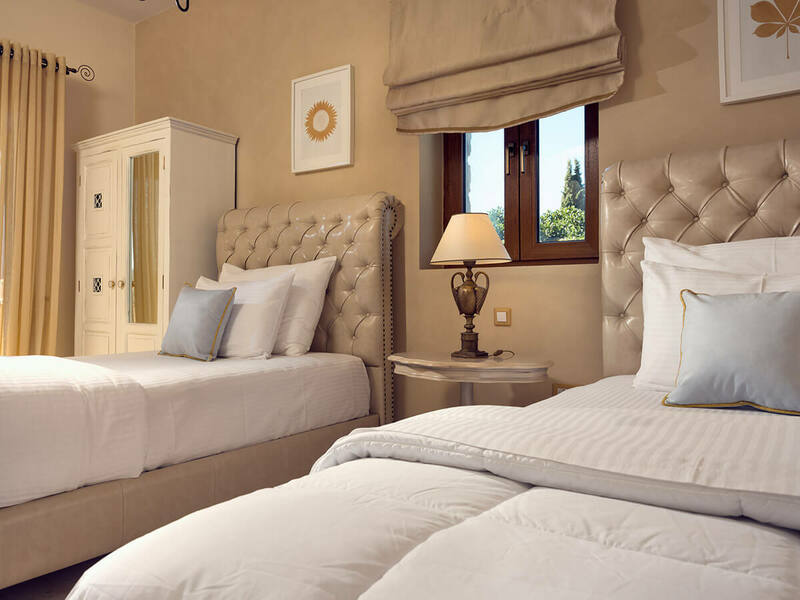 However, Bozonos Luxury Villa enjoys its own traits that make it truly unique, the least due to its notable awards and extra-positive reviews that has received. For several years now, this home forms a special world; a journey. A journey to grace and history. With respect to the distinct architecture of Zante, Bozonos Luxury Villa smoothly blends with the Zakynthian scenery, consisting of natural elements, such as stone and wood. The villa rises on a peaceful property full of Mediterranean trees, flowers and spices, while its garden is adorned with sandstones, jars, stone pathways and several trees, such as pine trees, olive trees, pomegranate and peach trees. The dashing exterior of Bozonos Villa hosts a marvelous seating set from banana plant leaves. The villa’s design resembles the majestic manors of 19th century Europe, combining the styles of classical as well as Heptanesian architecture and thus conciliating the Venetian influences on the island with the Greek cultural identity. In the interior, precious and functional antiques, wonderful venetian style furniture and 19th century compositions, gravures, linens and fine upholstery, muslins, fabulous luminaires and ornaments, all exalted within lively cherry red hues, golden details, the Mediterranean olive tree green and earthly colours of rock and wood. Taintless materials and polished objects, the smell of a well cared home, stimulating all senses. This is the world of Villa Bozonos.